Little has changed! 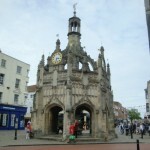 The history of the area, stretching back to pre-Roman times, is rich and vibrant. 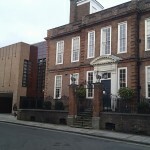 The medieval and Georgian architecture of the City is magnificent and the Cathedral which dates back to the 11th Century boasts a wealth of ancient and modern art. 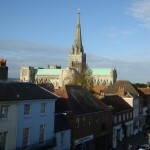 But there is much more to Chichester than its past! It is an exciting cultural centre, with an acclaimed theatre and modern art gallery which attracts exhibitions from all over the world. And on the sporting side the area is well known for competitive sailing and many others come here for strenuous walks on the South Downs, bird watching in Pagham harbour or relaxing with friends and family on the glorious sandy beaches at West Wittering. Join us on one of our specialist tours to hear stories from the past and discover places that you’ve never seen before. 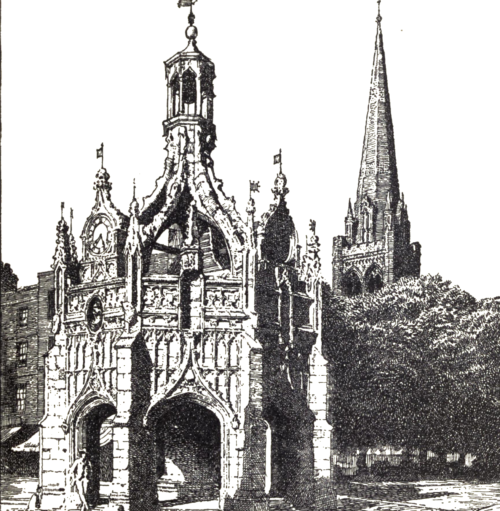 We offer a wide selection of talks, walks and minibus tours to tickle your fancy: Roman Archaeology, Georgian History, Architecture through the centuries, Art – modern and ancient, Great Personalities, Ecclesiastical History, Parish Churches through the ages and many more! 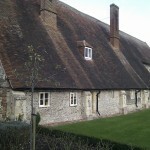 We also offer half and full-day excursions deeper into Sussex and over the border to Hampshire!! 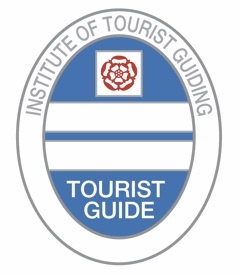 We are always delighted to put together a bespoke tour according to your own desires.All our city (Green Badge) and regional (Blue Badge) guides are qualified to the highest level by the Institute of Tourist Guiding and regularly undertake Continuous Professional Development activities. 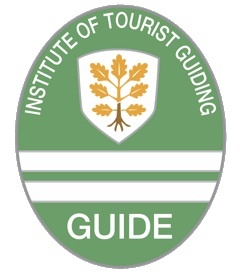 Click here to find out why you should choose an ITG qualified tour guide.